United Autosports scored its maiden Asian Le Mans Series outright race victory in dominant style in the 4 Hours of Buriram today (12 Jan), the third and penultimate round of the championship. #22 Ligier JS P2 Nissan of Phil Hanson (GB) and Paul Di Resta (GB) recorded an emphatic near two-lap victory staged at the 2.83-mile Chang International Circuit in front of a NUMBER-crowd on “Children’s Day” in Thailand. The British duo, who had finished second in the previous two races, now have a healthy 18-point advantage in the series with a maximum of 26-points on offer in the finalé staged at Sepang on 24 February. 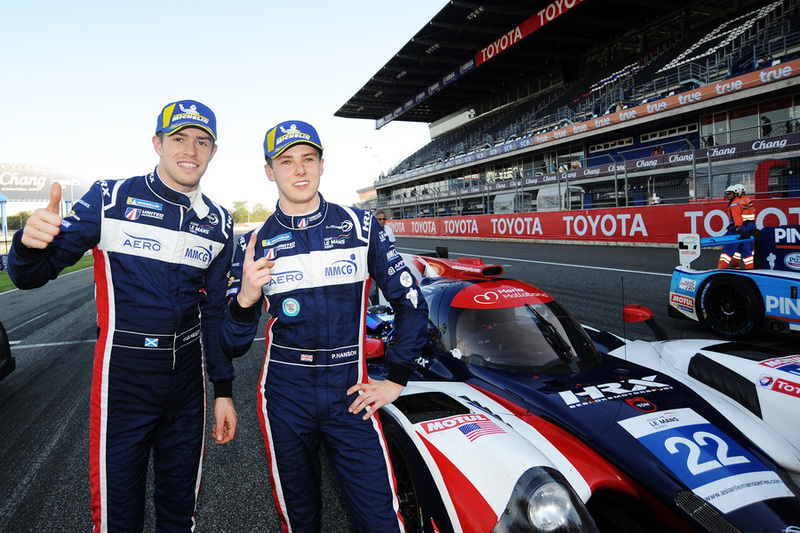 Meanwhile Wayne Boyd (GB), Chris Buncombe (GB) and Garett Grist (CAN) earned their first and the Anglo-American team’s second consecutive LMP3 class win in stunning style from pole-position and having recorded the fastest race lap. In a race staged in ambient temperatures of well over 30C, in stark contrast to the near freezing conditions of the previous race in Japan, #23 Ligier of Patrick Byrne (US), Guy Cosmo (US), Salih Yoluc (TUR) finished third in the LMP2 Am class – sixth overall – their Ligier down on power – while Matt Bell (GB), Kay van Berlo (NED) and Jim McGuire (US) recorded an unlucky fifth place. Today’s results mean United are in contention for all three highly-sought automatic entries to this year’s Le Mans 24 Hours that are on offer for the LMP2, LMP2 Am and LMP3 championship winning cars. The #23 now lies second, nine points down in the Am standings, with the #2 second in the LMP3 title race, eight points off the lead, with the #3 on 43 points. * Championship pos/pts subject to official confirmation. #22 (PH) & #23 (PB) started from second and fourth places, #22 dropping to P3 at the start but led after six minutes with #23 P5 (P2 in Am class) – #22 impressively extending its lead to 34 seconds after just 30 minutes, #23 moving up to P3 overall and Am class lead after 34 minutes. At one-quarter distance (39-laps) and with all opening scheduled pit-stops completed, #22 (PH) led overall by 41 seconds with #23, now with Yoluc aboard, continuing to head the Am class in P4 overall before being given a drive-through penalty pit-stop violation. After 90 minutes, #22 led by 81 seconds with #23 now P2 in Am (P5 overall), Yoluc encountering a loss of power while the pole-starting #24 ran P2 and out of sync with pit-stops with the leading United Ligier. Moments later the race’s first – and only – Full Course Yellow occurred, #22 and #23 both benefitting from excellent pit wall strategy and pitting with the race neutralised. #22 led the #24 by 46 seconds at mid-distance (77-laps) with #23 P5 overall, second in class, having served a second drive-through penalty for contacting the now Am class leading #4 . Hanson finally handed over the leading #22 to Di Resta after a marathon 143 minutes stint, having led from lap four, in plus 32C ambient weather conditions – now with a 39 seconds advantage – while the #23 followed the sister Ligier into the pits with 96 minutes remaining, losing time in the garage during its scheduled stop in an unsuccessful attempt to rectify its power problem, Cosmo resuming P6 overall/P3 in class. With 60 minutes remaining (117-laps completed), #22 led #24 by 55 seconds, the latter losing time with a spin and subsequent puncture. #22 made a pit-stop with 47 minutes remaining, Hanson having to take over due to Di Resta’s regulation restricted driving time – #22 ultimately taking the chequered flag almost two laps ahead after 158-laps – Phil taking on a splash of fuel with less than two minutes of the race remaining. #2 (GG) and #3 (MB) began from first and fifth places but with a little over 5 minutes gone, #3 and #2 lay P1 and P2, positions they maintained until their first scheduled pit-stops on the hour, Buncombe (#3) and McGuire (#2) resuming P1 and P2 respectively. #3 lost the class lead approaching mid-distance moments before serving a drive-through penalty for exceeding track limits, resuming P2 – 26 seconds down on the class leading #13 – #3 running P5. Van Berlo took over #3 with just under two hours to run while Boyd was in the #2 minutes later, leap-frogging the #13 to re-take the class lead during the pit-stop phase. With an hour left, #2 led by 65 seconds with #3 having impressively fought its way from P6 into to P3. #2 made its final stop with 47 minutes to run, Buncombe climbing back aboard, P3 Van Berlo having stopped earlier for the last time, the Dutchman’s pace restricted in the final 30 minutes due to a broken exhaust which in turn caused a gearbox issue resulting in an unlucky and unrepresentative P5 finish with #2 over a lap ahead of its rivals at the finish.